Empyreome is seeking original works of short fiction up to 10,000 words (<7,000 preferred). Stories with 1,000 words or fewer will be considered for our Weekly Flash series. We prefer science fiction and fantasy, but we will consider any story with a speculative element, including slipstream and well-written horror. We like stories in which interesting people do interesting things and make interesting things happen. We do not like stories in which flat characters are merely acted upon by forces beyond their control, and nothing interesting happens. If your story includes profanity, sexual situations, or violence, these elements should be essential to the story. Please do not send stories that glorify violence, use profanity without purpose, or depict graphic sexual scenes. In general, if the stories in Empyreome were films rated by the MPAA, they would receive a rating of PG-13 or younger. For more tips, see our Tips for Authors page. Empyreome currently offers a token payment for stories up to 10,000 words. Payments are in U.S. dollars payable via PayPal within 15 business days after publication. 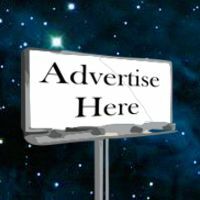 For initial publication, we pay $0.0025 (one quarter of one cent) U.S. per word for stories up to 10,000 words. For stories below 400 words, we pay a flat rate of $1.00 U.S. per story. At the time of contract, you will have the option of donating your token payment back to the magazine to help keep us running. By allowing us to publish your story, you grant us First World English Rights and First Electronic Rights, after which time all rights revert to you, the author. You also grant us the nonexclusive right to archive your story on our website in perpetuity or until such time as we choose to remove it. We do not accept simultaneous submissions, multiple submissions, or reprints. To submit your story to Empyreome, you will need an author account. Signing up is easy and fast. Just go to our Author Login page and click the link for creating a new account to get started. Once you're signed up and logged in, you can submit a story and/or track your submissions. Using the online submission form, attach your story as an .rtf, .doc, or .docx. No other file formats will be accepted. Your submission must be in standard manuscript format (see Shunn). Submissions that do not adhere to this format may be rejected unread and without explanation. During open submission periods, we usually respond within 2 weeks, but it may take longer, especially for longer stories. If we are holding your story for consideration, we will let you know as soon as possible (we usually make final decisions within 1-2 months). To learn about our editorial process, click here. Please do not query by email unless you have first checked your submission's status on your author account. Do not query for at least 4 weeks after submitting. 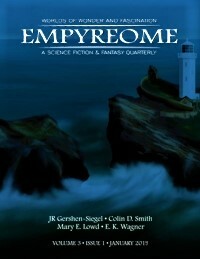 If you must query by email, send queries to empyreome@gmail.com with subject line QUERY: STORY TITLE. We will contact you by email with contract terms. See an example contract here. Best wishes and happy submitting!